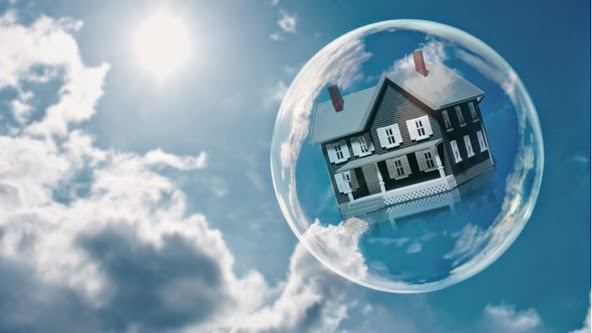 The latest housing price statistics from the Canadian Real Estate Association (CREA) has created a buzz in the media and talks of bubbles and an overvalued housing market have resurfaced. According to CREA, the average house price has risen 5% over last year. What that number does not show, however, is the lowered house prices in many markets such as Saint John and Victoria, for example. The red-hot markets in Vancouver, Calgary and Toronto are skewing the average according to CIBC economists Benjamin Tal and Avery Shenfeld and more than one-quarter of the sales are now in cities where house prices are increasing by less than the current rate of inflation – approximately 2.10 percent in August of 2014. At the high-end of the housing spectrum we have a seller’s market, he explained – more buyers then there are homes, which would naturally increase the price. However, tighter mortgage lending guidelines coupled with changes to mortgage insurance regulation have priced out first time home buyers, making it more difficult for the move-up market to move. Higher prices at the top-end may be also causing some affordability issues among those considering a move up. The two stats that bode well for Canada’s housing market according to Bordignon are employment levels and low interest rates. “Corrections occur when unemployment rises, interest rates increase and house prices continue to rise. Here in Canada, we have stable employment levels and interest rates are still relatively low. Despite the talk of bubbles, resale activity has been relatively stable over the past few years. Unit sales have fluctuated between 35,000 and 40,000 units per month according to a report by CIBC’s Benjamin Tal. Sales of units at the low-to-mid price range have fallen notably since 2010. Sales for the mid-to-high price range have risen modestly and sales for the upper end of the market have increased rapidly. Despite all the talk of the ups and downs of house prices, the mortgage lending market remains robust. Mark Kerzner, President of TMG The Mortgage Group has watched activity in housing market rise and fall for many years and although tighter regulations over the past few years have slowed activity somewhat, overall the market is healthy. “We’ve had a low rate environment for many years now, and while fixed rates are poised to increase due to higher bond yields, ARM discounts are also increasing thereby making ARMS more attractive. We anticipate PRIME will likely stay low into the first half of next year as the Bank of Canada stays the course with its benchmark rate that’s still at 1%,” he said. Kerzner also highlights the fact that the Canadian economy is healthy and affordability is in check despite the increased regulatory insight. “Qualified buyers are still able to access very low rates and lenders are offering a variety of mortgage products to suit the needs of more buyers,” he said. “If we examine the current situation we see low interest rates, a housing market where the prices in most markets are stabilizing, a healthy economy that is growing and an inflation rate that is holding steady,” he said. Yes, prices have increased in a few cities so it’s important to analyze what’s going on in your local market because all real estate is local. Mortgage rates and house prices will fluctuate but over the long term, homeownership is a sound investment that compares well with other investments. When you invest in mutual funds, the mantra for most is buy and hold. Similarly, your home is a buy and hold investment.